The What, Where and When for Seattle Families. Summer is in full swing, and what better way to celebrate the long-awaited blue skies and long, lazy days than picking buckets-full of juicy, sweet, sun-ripened berries, straight from the vine? Strawberry season is peaking now, and blueberries follow in late July. Here are 13 awesome U-Pick farms to take the kiddos to, collect buckets of berries, and make summertime memories (not to mention same pretty great jam)! 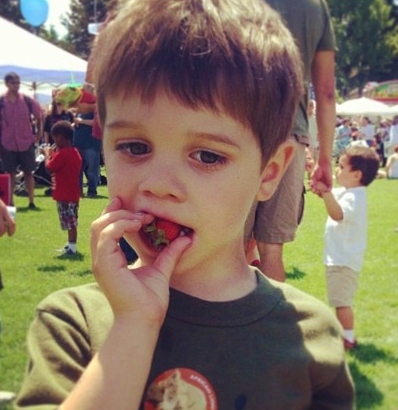 This entry was posted in Play Outdoors and tagged berry picking with kids in seattle, blueberry picking, Kids, remlinger farms, seattle berry picking, strawberry picking, summer activities, u-pick berry farms seattle by seattletravelmom. Bookmark the permalink. We’re going berry picking later this week down here in the Bay Area. Love this season!! Stay up to date with Seattle Travel Mom! Enter your email here.